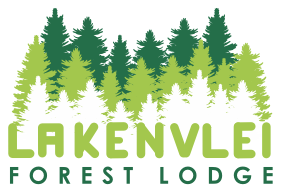 Lakenvlei Forest Lodge, the ultimate escape from city life, nestles amidst a lush 4 500 ha pine forest plantation, about 10 km north of Belfast in the Eastern Highlands of Mpumalanga. This area is famous for its cool summers, frosty winters and of course, dams for the ultimate fly fishing experience. The Lodge is about 230 km from Johannesburg and 200 km from Pretoria. Take the N4 East, past Witbank and Middelburg. Turn left at the Belfast turnoff. In the town of Belfast, turn right onto the Dullstroom road (R540). The entrance to Lakenvlei Forest Lodge is exactly 10 km from Belfast, on the left-hand side of the road.